When 13 Reasons Why premiered on Netflix last year, it received intense backlash, especially from mental health professionals. Based on Jay Asher’s young adult novel, the show presented Hannah Baker’s own account of her tumultuous teen life while erroneously depicting suicide as an act of vengeance. With negative speculations surrounding the much-anticipated second season, the new season defied all expectations by opening the discussion about teens and mental health in a more appropriate way. Told through the perspective of 13 narrators — all of whom were subjects of Hannah’s tapes — Season 2 paints a more accurate picture of teens and their struggles. While the first season glorified Hannah in a way that suggested her martyrdom, the second takes a completely different approach by focusing more on Hannah’s flaws and what made her — well — human. In the quest to place blame for Hannah’s unfortunate death, Season 2 takes viewers on a long and intricate journey into the complex and vulnerable minds of Hannah’s peers as they struggle to endure the everyday challenges that come with being teenagers in today’s society. Though the full truth may never be revealed, one thing remains certain — all of the characters are perfectly imperfect. As a high school teacher and someone who has struggled with mental illness, I can honestly say Season 2 gets a lot right about the teenage experience, but there are a few things that it gets wrong too. In the second season, Olivia Baker, Hannah’s mother, files a lawsuit against Liberty High School, alleging the school was negligent for ignoring clear signs her daughter may be suicidal. When Porter is questioned during the trial, he shares real insights about the teenage struggle. Working with students, I’ve noticed that teens often adapt to please others, whether it be their teachers, coaches, peers or parents. With immense pressure to succeed, some teens self-destruct. While some students can easily hide behind a facade and achieve academic success, others might turn to drugs or alcohol as a coping mechanism. While Season 1 focused more on teens in the absence of parents, Season 2 delves into various parent-child relationships. In my career, I’ve noticed that teenagers tend to divulge more to their teachers than to their own parents out of fear of disappointing. Instead of expressing their true selves, teens struggle with being who they think their parents want them to be. Mr. Porter’s statement is valid. Gossip is inevitable in a school environment, and Season 2 successfully depicts the powerful impact it has on a student’s psyche. With ubiquitous social media apps, teens betray their peers in some of the most heinous ways, but at their age, they don’t understand the enormity of the internet and the indelible digital footprints that can ultimately destroy lives. Teenagers like to make their own justice. If they are wronged, they seek revenge. This eye-for-an-eye mentality often destroys some of the most promising students. At such an age, teens are too concerned about fairness, and consequently, those who are wronged degrade themselves with poor behaviors. Though psychologist Jean Piaget declared ages 2 to 7 as the “all about me” phase, the teen years also involve egocentrism. In my experience working with high school students, some adolescents are quick to believe that everyone is out to get them and that they are always being unjustly blamed. But as teens slip into deeper levels of depression, they begin to irrationally internalize everything as their fault. Similarly to Alex, some believe that others will be better off without them, but in this vulnerable mindset, they act impulsively, not fully grasping the irrevocability of death. A show that inadvertently encouraged suicide and contributed to suicide contagion is now addressing the dangers of such contagions, but perhaps this was essential for redemption. Teaching in a school district that has suffered from this contagion, I have witnessed it firsthand. When the first suicide affected the district, the district didn’t anticipate the subsequent chain reaction. Unfortunately, some students begin to see suicide as a solution. Some might think, “If the pretty and popular girl couldn’t survive, then there’s no hope for me.” The resulting consequences of that first suicide can be more detrimental than one could ever foresee. When Alex expresses disappointment that he lived through his suicide, Jessica falsely accuses him of not caring about anyone other than himself. Even the somewhat rational Clay mistakenly equates suicide with selfishness as he vacillates between hating Hannah for what she did and hating himself for what he didn’t do. When speaking with students, I often hear that school is the biggest stressor in their lives — not because of the social aspect, but because of the grades, standardized tests and onerous expectations to succeed. As college admissions become more competitive, students burden themselves with unrealistic goals. They enroll in multiple AP courses, join several clubs, participate in student government, play on numerous sports teams — all while trying to maintain a perfect GPA. High school is supposed to be a place for students to learn about themselves and explore their different talents in preparation for college, but in a society that equates education with success, students are forced to succumb to such unrealistic demands. Yet both seasons of 13 Reasons Why neglect this stressor and thus fail to present the authentic high school experience. Season 1 was chided for its negligence of mental illness and proper interventions — sadly, Season 2 maintains that. Though mental illness is addressed in some scenes, not much is done to help those with suicidal thoughts or tendencies. 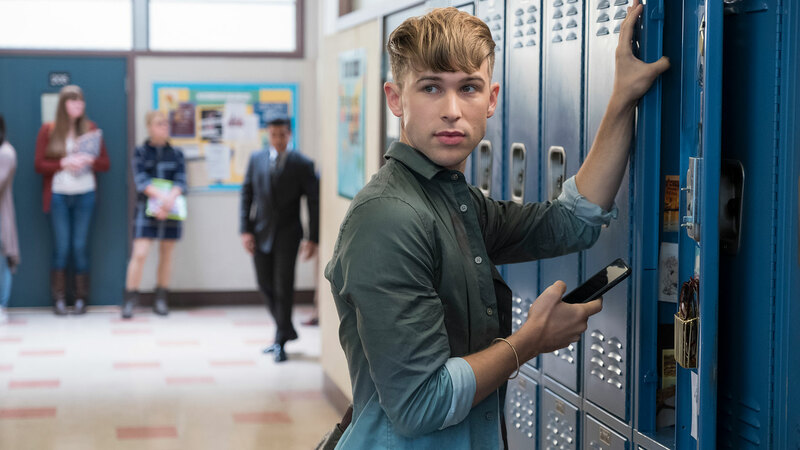 After trying to kill himself, Alex — who surprisingly looks better than he did before taking a bullet to his head — returns to school and follows his old routines with the slight addition of physical therapy sessions. Once again, 13 Reasons Why fails to properly address mental health. Alex’s physical appearance and typical lifestyle display could have a potentially dangerous side effect for young viewers: giving them the false sense that suicide won’t destroy your life even if you live through it. Although Liberty High School is exonerated at the conclusion of the trial, the show still suggests that someone is to blame for Hannah’s death. Throughout the trial, lawyers argued that Hannah’s parents failed her, while students pointed fingers at each other or even themselves. But through these scenes, Season 2 continued to overlook Hannah’s mental illness. In a brief moment of grief, Olivia Baker recalls a history of mental illness in her family, but the show does not devote sufficient time to this revelation.